For those moments when words are not enough and the occasion is difficult, send a tasteful, heartfelt gift with your condolences to show how much you care. 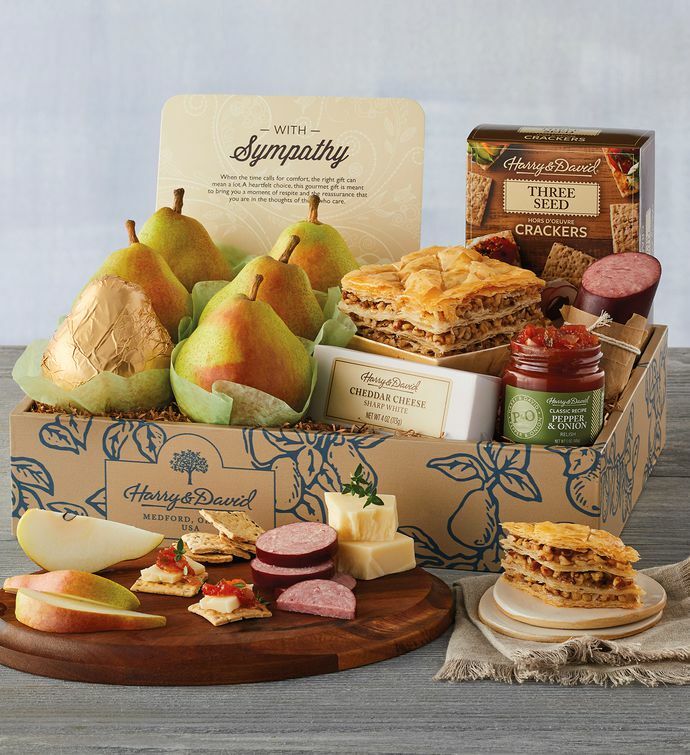 Ideal for sympathetic sentiments, this thoughtful gift holds Royal Verano® Pears and other savory snacks like pepper and onion relish, white cheddar cheese, and hickory smoked summer sausage. It's sweetened with baklava made in our own bakery kitchen and sent with a sincere sympathy statement.